Join Berkshire at the 2016 HR Florida Conference & Expo to hear Charu Avasthy, PHR, SHRM-CP present “Managing Pay Transparency in the Office” on August 30 at 2:00 p.m. She will discuss the challenges companies now face with regard to the new Pay Transparency Rule effective since January 2016. Charu will cover solutions and advice on protected activities, employee complaints, posting requirements, policy statement, exceptions, and conducting salary equity analyses to uncover pay gaps. She will also provide clarity on what federal contractors can and cannot do when it comes to regulating compensation and discussions in the workplace. Techniques to incorporate the management of pay equity into everyday HR operations will be discussed. 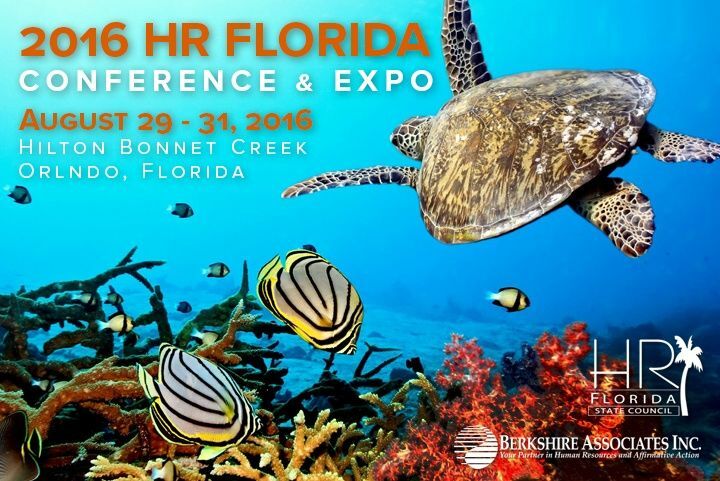 The 2016 HR Florida Conference & Expo takes place August 29 through 31 at the Hilton Bonnet Creek in Orlando.